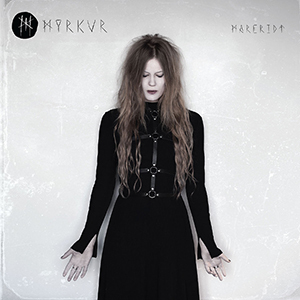 Myrkur’s credits on her new album Mareridt are: vocals, piano, nyckelharpa, violin, guitar, percussion, synth, organ. She also composed the record. It mixes a bunch of different elements: choral vocals, screaming, black metal, Nordic folk, and more. Mareridt comes out on September 15, 2017 on CD and double LP and digital on Relapse and is up for pre-order now. Tour dates are below. This entry was posted in News and tagged black metal, Denmark, folk, Myrkur, Relapse, tour by Editor. Bookmark the permalink.